Can Tho Vietnam is one of the key areas to see life lived on the water in the Mekong Delta – and also to see just how fast Vietnam is changing. 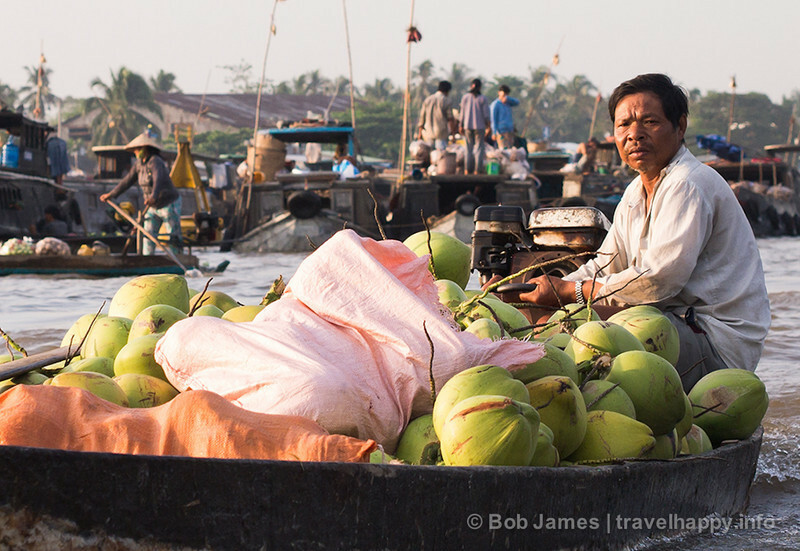 Bob James explains why you should try to get to Can Tho sooner rather than later. Cruising down Can Tho’s quiet waterways beneath a jungle canopy, it’s hard to imagine a six lane expressway is only a couple of minutes away. But that’s the reality of Can Tho – and Vietnam – today: The country’s rapid urbanization is squeezing rural traditionalism to the margins, but not out entirely. 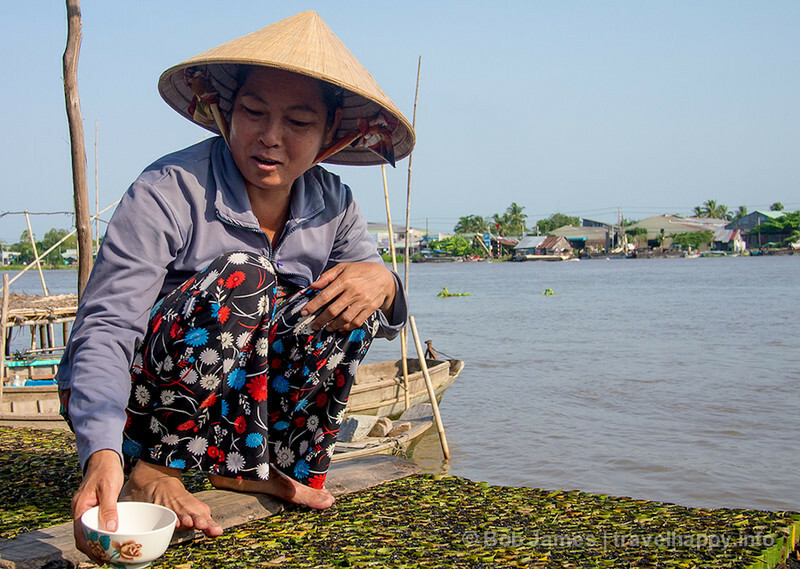 In the Mekong Delta, Can Tho is the best example of how the new is crashing into the old. 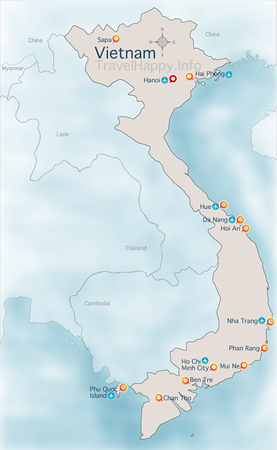 The city is now Vietnam’s fourth largest, home to 1.5 million people. It boasts the largest cable-stayed bridge in Southeast Asia (2010), a new international airport (2011), a bustling port and two industrial parks. Yet at the same time, supermarkets haven’t replaced its floating market, the largest in the region. 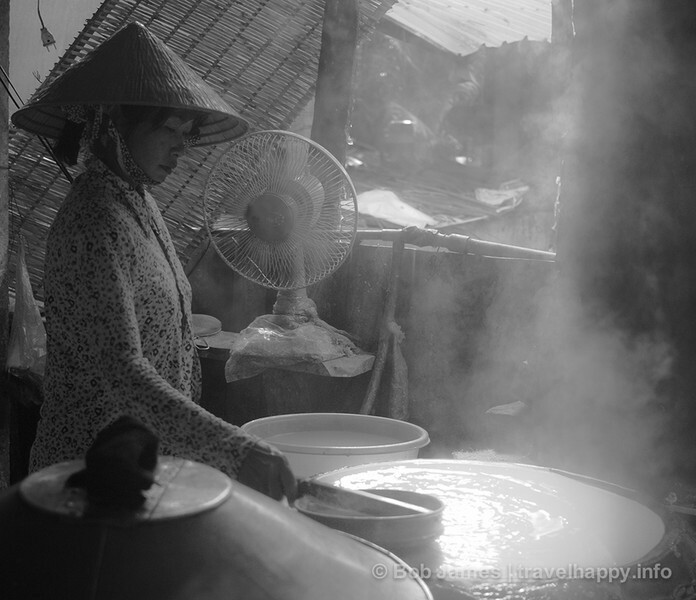 And rice paper is plied, noodles cut and bricked baked just as they have been for decades. They key for tourists is to duck the growing expanse of asphalt and capture a glimpse of the old Can Tho before it’s paved over forever. If you’re not arriving by plane, then you’re coming by bus. As the Mekong’s main hub, buses are arrive and depart Ho Chi Minh City, Phnom Penh and everywhere in between. If you’re coming from Cambodia, you should spend a night in Chau Doc, just across the river. Local buses take about 4 hours from there for about $8. From HCMC, Chau Doc is usually included on Mekong Delta tours that also stop in Ben Tre. By far, the best bus line to travel in the Mekong is Phuong Trang line. Coaches are new, air-conditioned and some even offer free Wi-Fi. Where you stay will be the biggest factor in what kind of experience you have in Can Tho. There are plenty of Can Tho hotels and guesthouses of all price ranges downtown, but the city is also better known for homestays. The best of these is Hung Homestay. Yet while it receives rave reviews in just about every travel website (see Tripadvisor for example), don’t be deluded into thinking it’s a “true” homestay, with you as the only guest. Consider it more of a B&B. You can email Hung direct at hunghomestay@yahoo.com.vn but the usual route is going via booking a tour in Ho Chi Minh City. Hung Homestay indeed runs out of a family home, but guests stay in in 10 rooms across the road or in a half-dozen bungalows behind the house. The accommodations are “homey” in that there’s no air conditioning, no hot water and mosquito nets over the bed, but the hospitality is five-star. Prices start at $14 a night. Hung makes a good business receiving tour companies that operate out of HCMC, do a day tour in Ben Tre, then stay overnight at the homestay before offering a short river tour in the morning and departing. The better experience is to book independently, however, as you get a longer river tour and the guide is no other than Hung himself. Hung’s six-hour tour – the HCMC tour is only 2 hours – starts with a 5:30 a.m. trip to the huge floating market, then moves into the tiny tributaries of the Bassac River to explore rice-paper and noodle factories, agricultural market and farms. All of the stops are authentic; none have gift shops or were set up just for tourists. Those familiar with Thailand’s floating markets will be surprised to arrive at Can Tho’s version of it. You won’t find small rowboats here. All the vendor boats are big, with many customers actually pulling up alongside and boarding the larger boats to do their shopping. Traders and buyers come from far-off provinces to shop here and the traffic on the river is a bit daunting for Hung’s smaller tour boat. Set your camera on a fast shutter speed, because it is not a leisurely float through this market. Following the market cruise, it’s off into the backwaters (forgetting of course, the city is just about 10 minutes away by boat). You’ll stop at a rice-noodle factory, with its steamy environs, and a watermelon farm, from where Hung collects a snack of the sweetest melon you’ll ever taste. Then it’s off to the banks of the Bassac, where women plant individual seeds in thousands of hand-rolled “cartridges” of banana leaf, fertilizer and soil to help farmers sprout to those hard-to-sprout crops. The tour returns around noon and Hung’s wife serves lunch (at a small extra charge) for those hanging around for the afternoon. Then, when the HCMC tour arrives in the evening, everyone comes together in the main house to help prepare the meal. Hung’s family thankfully helps in instructing how to roll the spring rolls and fry up the other goodies. Thirsty? Help yourself to beer, soda or water in the fridge. It’s on the honor system, so you simply pay up for your beverages at the night’s end. Hung wraps up the evening with a chat and cultural lesson for the guests, then adjourns, leaving all the homestayers to mingle and discover new friends. The beer flows freely and, one-by-one, guests fall away. After all, the day began before six. But when the sun rises the next morning, and Hung arranges rides to the bus station, most leave feeling saw the “real” Can Tho.